Good things come to those who wait…; well, you've waited and this is ten shades of f*cking brilliance. With four genuinely priceless EP's under their belts and the fantastically discordant Boomkat bastardisedmegamix, Modeselektor can lay claim to having caused a stir in the electronic by-ways that is entirely spontaneous, utterly justified and now, with their debut LP 'Hello Mum!' consummately realised. The product of Berlin's writhing digital underbelly, Modeselektor have somehow managed to distill that cities uniquely skewed attitude into an LP of genre-bending aural nourishment. Opening with the euro-crunk masterpiece of 'Dancing Box-Mdslktr', Gernot Bronsert and Sebastian Szary (aka Modeselektor) expunge any remnants of Lil John (yeahhhhhhhh!) with a scalpel-chic vocal from Big Dada's TTC, wherein pink-rubber beats bounce around a shattered electronic ballroom to arse clenching effect. So where can you possibly go from here then? Headfirst into 'Die Club Nr. ', that's where. Based around a speaker popping electro beat that chafes fabulously against the jacked oscillators, 'Die Club Nr.' Is made all the more irascible when placed into contrast by 'Tetris Pack' and it's mental scratches, plodding rhythm and 8-bit melodies. Elsewhere, the P Diddy (or is it Diddy Pop now?!) inspired 'Vote Or Die' is a vista-expanding Radiophonic jaunt through tormented, razor-edged electronica, 'Kill Bill Vol. 4' is feet slaughtering elektro-fucked rave, whilst 'Silikon-Mdslktr' Feat.Sacha Perera is a M.I.A.-esque crackle of continental grime. Oh yes! 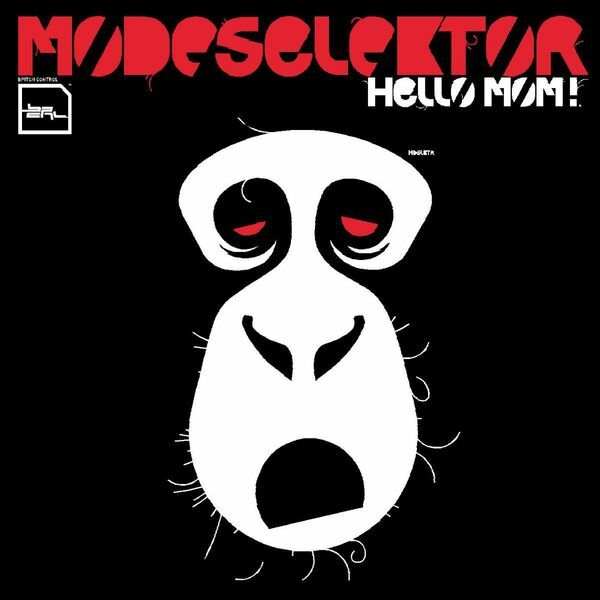 Add a totally immense collaboration with Paul St Hilaire (aka Tikiman) and a closing moment that shimmers with rectitude on the Mum dedicated 'I Love You', Modeselektor have crafted a function disrupting album of unmitigated brilliance. Don't make us tell you twice.